Are you looking to become an entrepreneur? Well, there is so much out there that you can get into, but one of the most lucrative industries is the Restaurant space. You could have a smoother sail if you decide to make an acquisition. The first step would be looking for a restaurant business for sale. It does not stop there. For your restaurant to stand out in the crowd, you will need to adopt a good branding and marketing strategy. Successful start-up restaurants like Next Door owe their success to effective branding strategies. The temptations of totally ignoring branding are high. However, it is as important as the product or service itself. The following are reasons why you should give branding attention. Remember that you are not the only one in the restaurant space. Some restaurants have already stayed a while and other start-ups too. You need to have your own identity and personality that customers can identify you by. It is essential for you to select and promote a brand that brings out what you are as a business and represents your core values. Remember that you are competing with other restaurants for the same customers. The restaurant that gets to influence the customers’ behavior gets to win. Branding will help you do that. If you can bring out an appealing identity and provide your clients with relevant content, you will be able to get their attention. A good branding strategy will help you draw customers and keep them motivated. Failure to do so might cause you to lose them and eventually your business. As a start-up, you will find that you are not the only one offering a particular type of food. For you to win customers, you will need to show them that you are unique. You should give them a reason to choose to come to your restaurant and not your competitors'. It is where branding comes in. Branding sets you apart from the competition from the word go: that is, even before the customers get a taste of your services. It is also important to note that for your branding strategy to be effective, it is critical to conduct market research and identify what it is that can make you stand out, what the customers want and they are not getting. A good branding strategy will make you appear reliable in the eyes of your customers. By having a branding strategy, you let the customers know that you are planning to be in business for long. That way, they will trust you and will want to identify with you too. A branding strategy for a start-up restaurant is crucial. It will go a long way in beating the competition to its game and earning your restaurant a new client base, more so, retaining them. 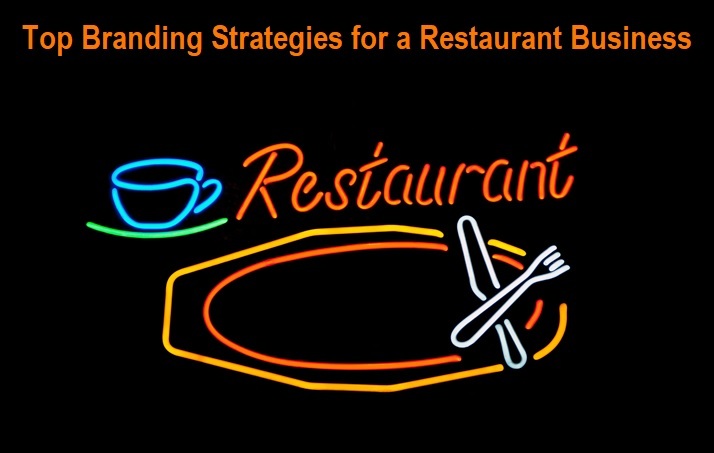 A good branding strategy will give your restaurant a solid foundation for the long haul.